Beige might sound like a boring color, but these sophisticated spaces are anything but boring. A soft-hued color palette ideal for traditional or modern spaces, beige backsplash ideas create soft ambiance. 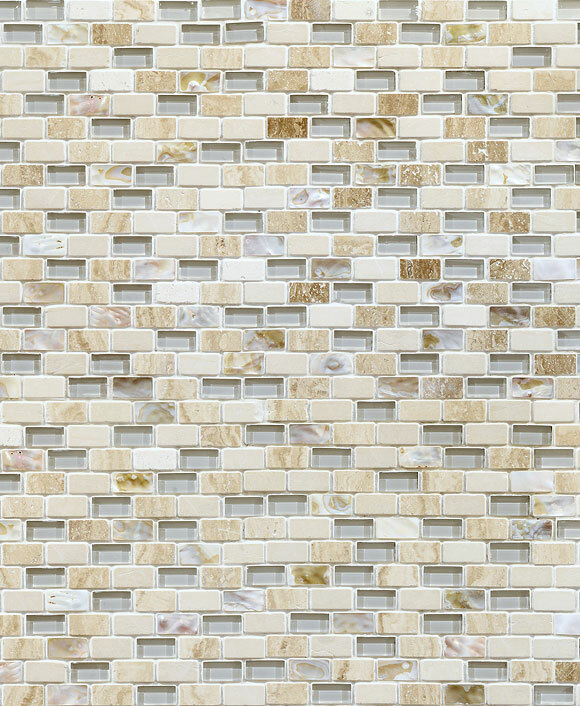 Beige backsplash tile can be as bold or as stunning as your design preferences allow it to be. 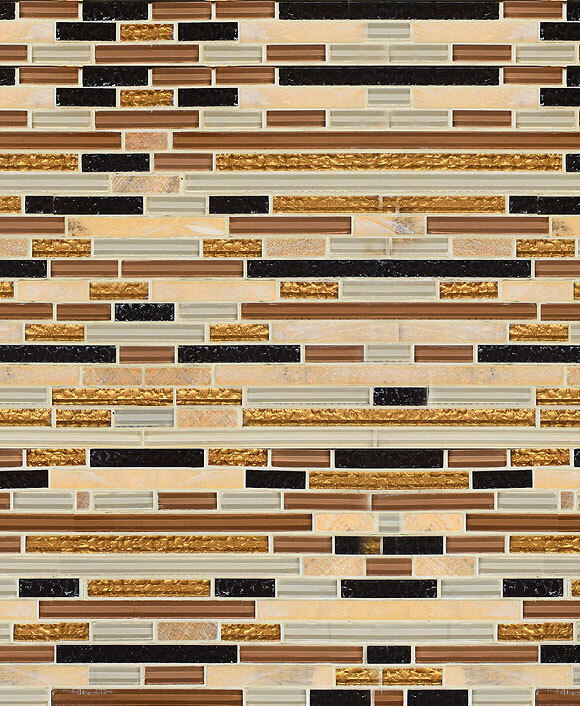 Travertine beige backsplashes can lend pops of color with glass accents that glitter. Mix with darker brown glass and ivory insets to create dramatic focal appeal for designer kitchens. Let creams and beiges combine in a classic subway tile with natural stone veining for a more traditional pattern. The options are endless for beige backsplash ideas. Pair it with any existing kitchen features that you already have: white cabinetry, light brown cabinetry, or deep espresso cabinetry. Your appliances will stand out whether they’re black or stainless steel. And your countertops can be any combination of sandy beige with flecks of gold, cream, or black veining for a truly dramatic or simple statement. You’ll be impressed not only with the dramatic designs possible with beige backsplash ideas but with the quality of the materials. 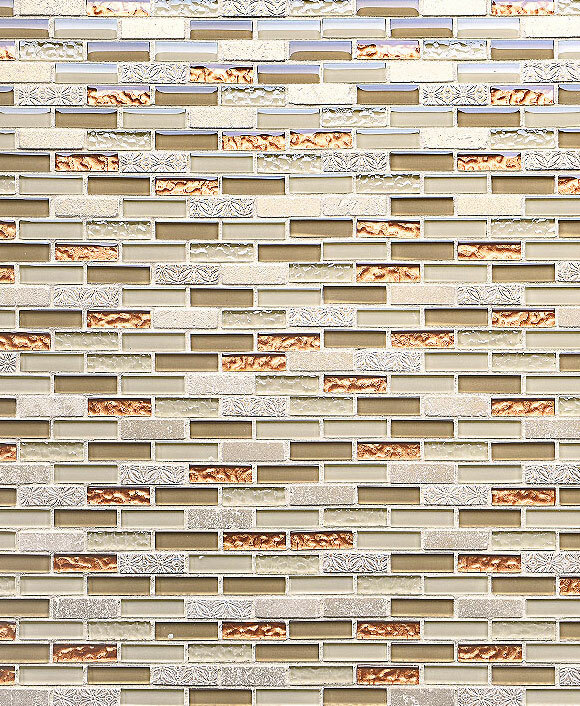 Most of the materials that comprise our beige backsplash ideas are easily maintained. Glass, metal, travertine, and slate are all quickly wiped clean with a damp cloth to stay beautiful for years to come. Our stones and materials are of the highest quality to create the beautiful looks you see in these finished projects. Allow us to dazzle you with the durability and strength inherent to these mosaic tiles, sure to last you through the years. Whether you’re aiming for a more modern space or simple tradition, beige backsplash ideas are both elegant and timeless. Chic spaces come together with these perfectly polished and presentable beige backsplash ideas.